Everything is falling into place. 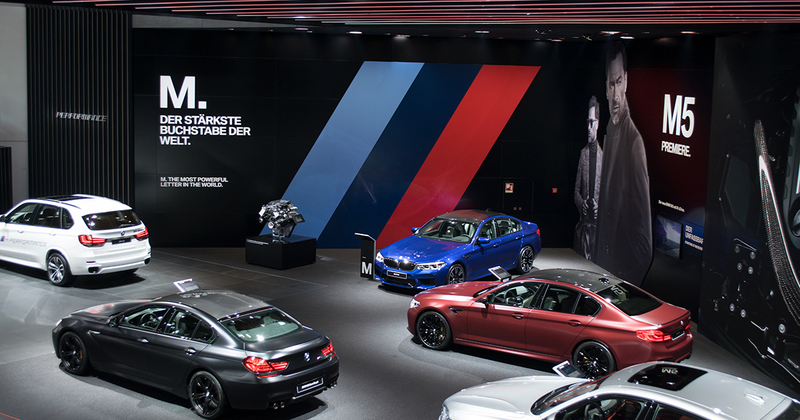 It is the last day of rehearsal in BMW’s tremendous Hall 11. 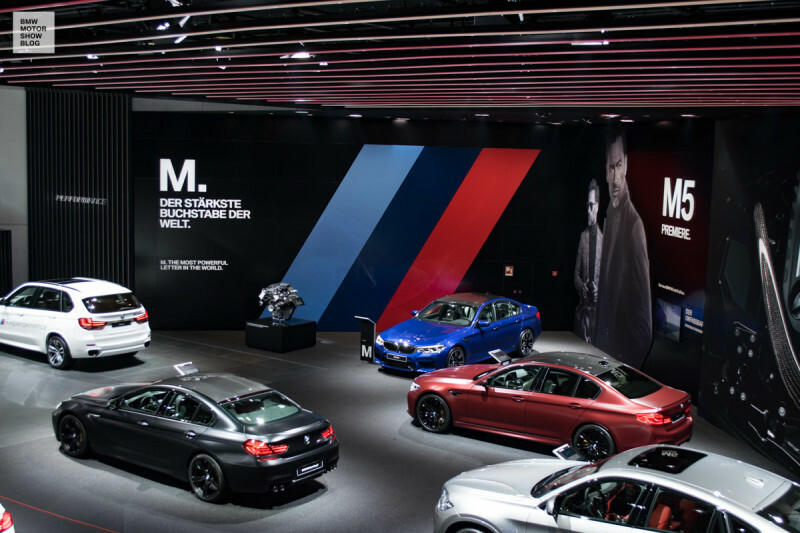 The procedures are all set, most of the cars already lay unveiled in the spotlight and the last few bustling technicians put the finishing touch on BMW’s brand identity. 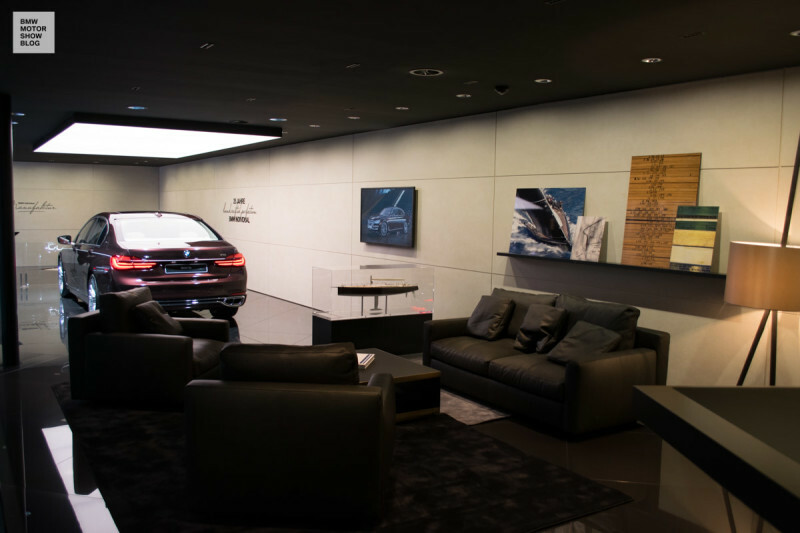 Read the first part of our exclusive tour of BMW’s stand! 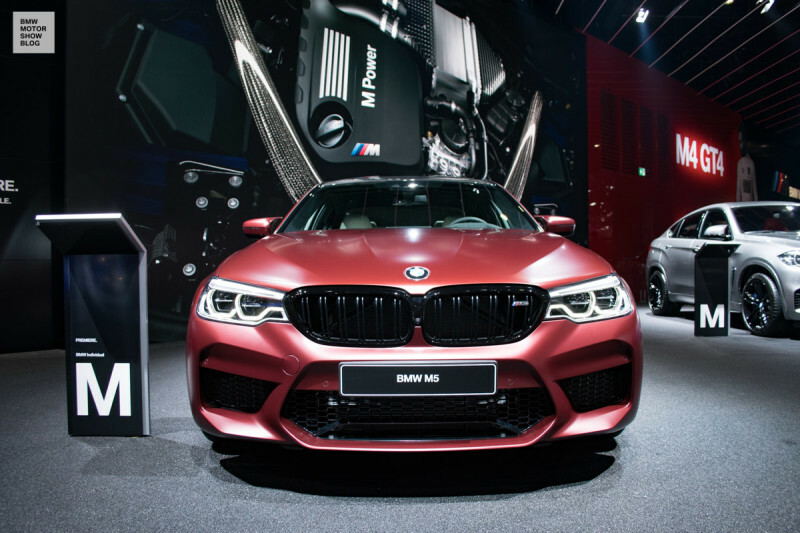 After exploring the thematic domains of BMW i, BMW Motorcycle and the premier area of the new BMW 6 Series Gran Tourismo in part one of our tour, we now head a bit further down the line. 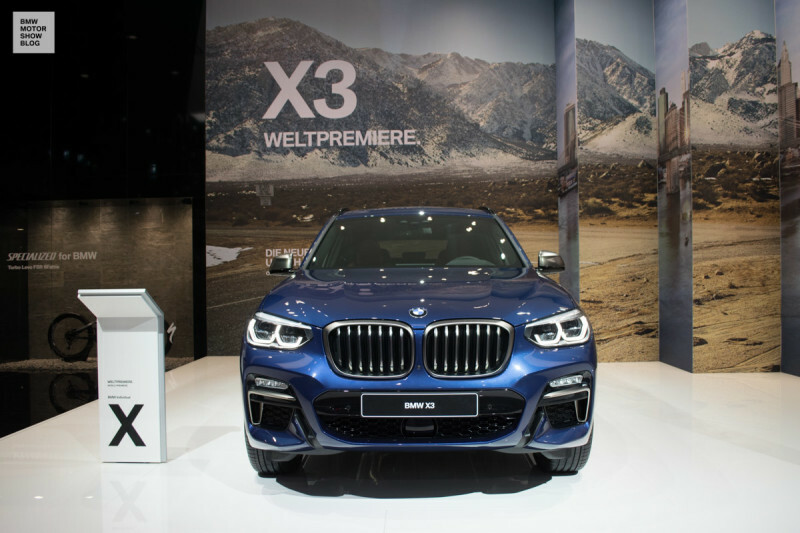 Spatially separated by the entrance to the lavish BMW Group Lounge, the newly developed BMW X3 awaits the competition in the compact SUV segment at the back of Hall 11. The high-powered BMW X3 M40i top model comes across as being especially present on its snow white stage, fittingly put on display in front of an undomesticated hillside. 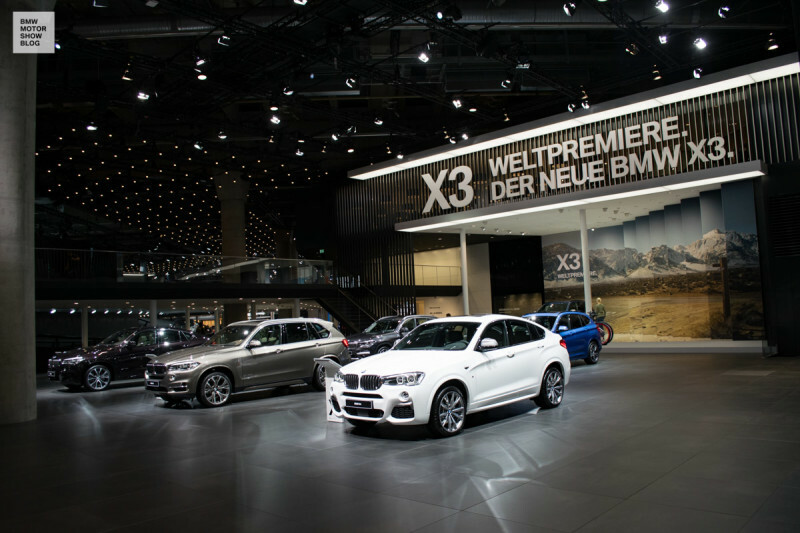 As a world premier and newest addition to the X-models, the new X3 towers over the entire range of X-models that are ready to be explored by visitors. As we move out of the offroad corner, we move on towards the new link between SUVs and high-end luxury: the BMW Concept X7. Centrally positioned and protected by a narrow glass railing as well as the assistance of a curved LED-video screen, this massive offroad concept gives a tangible outlook on the X7 production model, which should be presented as early as 2018. Immediately behind this concept car, things are a quite different from what BMW-fans have seen so far. 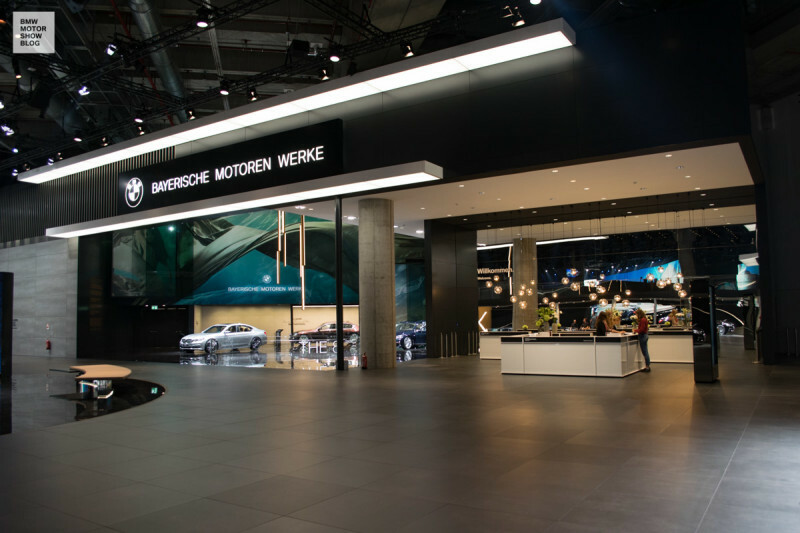 In light of the IAA 2017, the Bavarian company plans on redefining their presence in the luxury segment and to sharpen the top-models position as their own product category. The end result: a new brand profile. 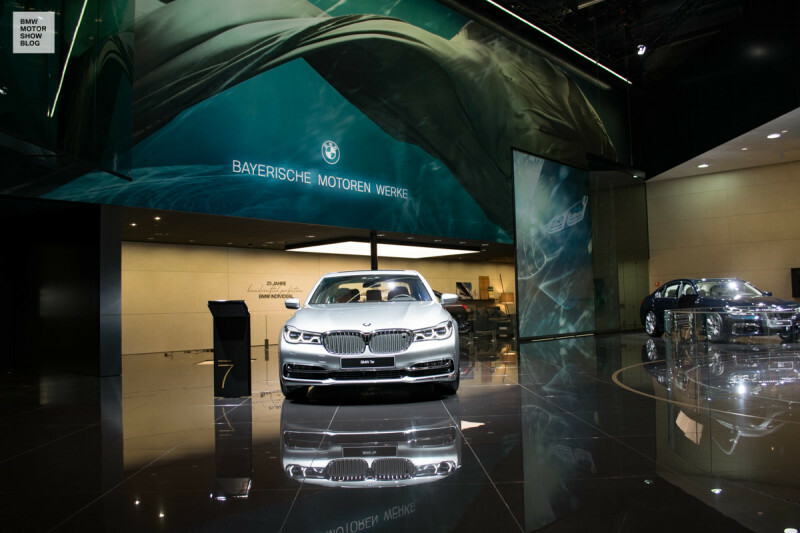 Over the BMW 7 series area, the title “Bayerische Motoren Werke” stands out in delicate lettering. In full length and accentuated with a black-and-white interpretation of the corporate logo. Calm petrol-blue and massive glass panels suspended over the heads of the visitors round off what the marketing strategists are describing as the “Story of redefined luxury”. The 7 Series, 8 Series, X7 and the not yet introduced BMW i8 Roadster all are to be equipped with the new signet. 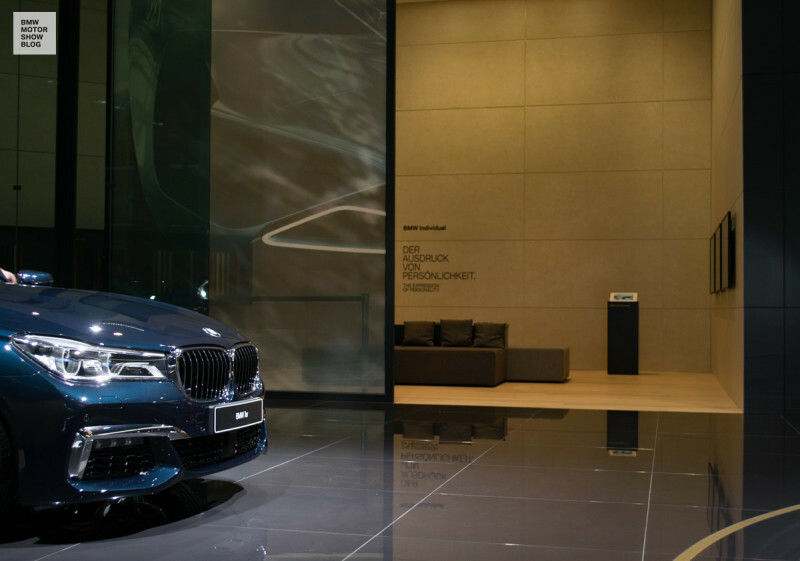 During this IAA – which this year does without a separate area for the Rolls Royce brand – the claim to luxury culminates in a special edition model of the BMW 7 Series. On the occasion of the 25th year of BMW Individual’s existence, the in-house department for exceptional demands has created an impressive single edition model in cooperation with the Finnish yacht designer Nautors Swan. After a peek into the affiliated Individual Lounge, we turn our backs to the high-end area. Much too enticing is the one letter that signalizes the climax of this tour. Pulsating strips of light on the ceiling, walls of video: “M – the most powerful letter in the world”. 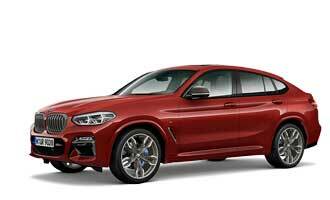 Not much more is needed to set the scene for BMW’s sports fleet – the rest is attended to by the cars themselves. We tread cautiously as we approach the most recent representative of massive sportiness. The BMW M5 First Edition, lacquered in “Frozen Red”. Might we open the door? Or even take a seat? Hesitation. Everything is to be perfect when the first visitors come on the next day – and free of finger prints from a certain enthusiastic motor show blogger.